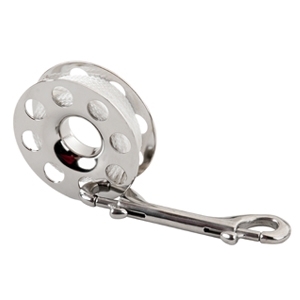 THESE STAINLESS STEEL FINGER SPOOLS FROM DIVE RITE ARE AS TOUGH AS THEY COME. CRAFTED OF 16 GAUGE 304L STAINLESS STEEL FOR DURABILITY IN MARINE-GRADE ENVIRONMENTS, THESE REELS ARE TIG WELDED THEN ELECTRO-POLISHED. 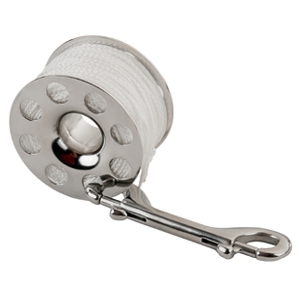 These stainless steel spools are compact with a narrow footprint compared to similar plastic spools, giving the diver the advantage of saving real estate or carrying multiple spools easily. Smooth edges provide comfort and an easily-held ergonomic design.